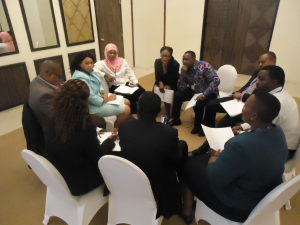 On December 7-9, 2016, the Auschwitz Institute for Peace and Reconciliation (AIPR) held a regional training seminar in conjunction with the Tanzanian National Committee for the Prevention of Genocide (TNCPG). 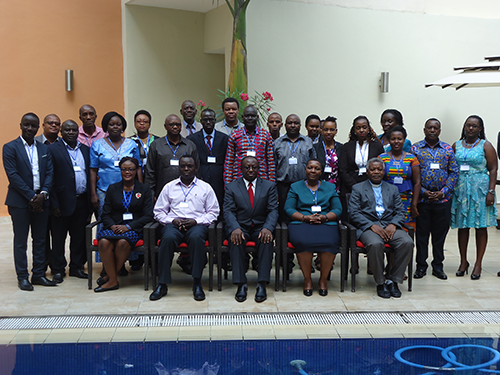 The three-day seminar in Dar es Salaam, entitled “Deepening the Institutionalization, Networking and Capacity Building of National Committees for Genocide and Mass Atrocity Prevention”, brought together approximately 35 participants from the Great Lakes region of Africa. 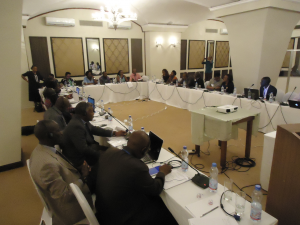 In addition to Tanzania, attendees representing Kenya, Uganda, Burundi, the Democratic Republic of the Congo, Zambia, Sudan, and South Sudan participated in the training. The first day of the event opened with a presentation by Mr. Nasser Mwakambonja of the African Union-United Nations Mission in Darfur (UNAMID) entitled “Institutionalizing Prevention: State and communal approaches from the Great Lakes Region”. Mr. Mwakambonja was followed by Mr. Okello Pasqualino from Victoria University in Kampala, who presented on lessons learned and best practices in prevention related to varying approaches to both regional and national security. Ms. Felistas Mushi, Chairperson of Tanzania’s National Committee, and Dr. Ashad Sentongo, Director of AIPR’s Africa Program, concluded the working day by introducing the seminar’s participants to a project-planning module and beginning preliminary work on projects that would be finished the following day. The training’s second day began with Dr. Sentongo delivering a module oriented towards deepening efforts to prevent genocide and mass atrocities, focusing on strategies, policy options, and programming for Regional and National Committees. Following this, Mr. Mwakambonja delivered a module centered on lessons learned in Tanzania and Dr. Sentongo made a presentation on contributions made by National Committees and their development partners to the way that genocide and mass atrocities are taught in an academic setting. The day finished with participants finalizing the project planning efforts that they began the previous day. The third and final day began with a module delivered by Mr. Dismas Nkunda on the communication and dissemination of information for early warning and early response mechanisms. He was followed by Ms. Onyinye Onwuka, representing the Economic Community of West African States (ECOWAS), who gave a presentation on valuable experiences and lessons learned from the establishment of ECOWAS’ early warning system. The seminar then concluded with an evaluation session and a series of closing remarks. The seminar maintained a strong focus on project development. This not only included the development of new project proposals, but also reflection on previous and ongoing initiatives. Sessions dedicated to past and continuing projects worked to provide attendees with progress updates and an opportunity to strategize with regards to the best ways of moving them forward. Additionally, one of the seminar’s major goals was to use the Tanzanian National Committee as an example with which to help less developed national committees learn best practices and further the development of their own national mechanisms. Finally, the training also included a focus on developing synergies between national and regional institutions for prevention in the Great Lakes Region of Africa.